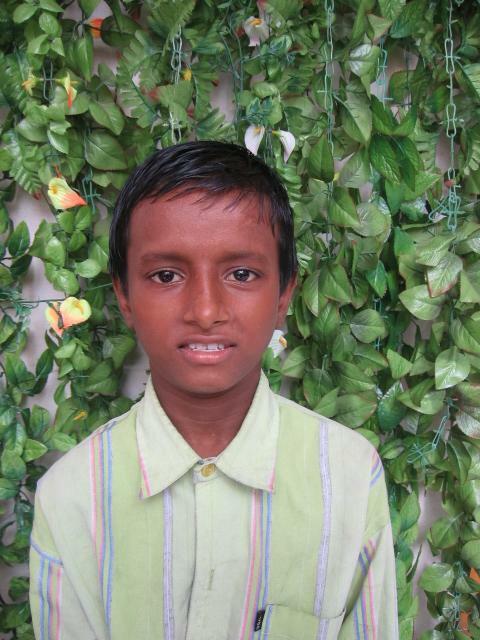 Sponsoring a child may be one of the most meaningful decisions you make. But how do you start? And why do you even do it? Where should you sponsor a child? A bunch of questions will cross your mind. It certainly did for me. Why should you sponsor a child? That’s a question you definitely want to ask yourself. The primary reason I chose to do it is because I wanted to make a difference, but I didn’t have too much time as a college student to physically go out and volunteer somewhere. Cool thing to tell and show people! It’s been well over six years already, but every time I get a letter from him, it brings a smile to my face. Over time, I’ve developed a personal relationship with him though I’ve never met him. For example: he often writes to me about how he loves school and playing cricket. He often mentions his desire to be a doctor when he grows up. I took some time to find the right organization to sponsor a child through. Though I discovered this by accidentally arriving on the Children International website, I didn’t select this organization immediately. I took a week or so to research different ones on the Internet. I looked at the benefits offered to the children. By nature, I am a cautious person and I tend not to do something for the sake of it. How much does it cost monthly? It’s okay to do something that is economically feasible for you. What benefits does the organization offer to the child and his community? Determine educational and healthcare benefits offered to the child. Benefits usually offered are: Emergency Food as Needed, Medical and Dental Care, Educational Support, Family Assistance, Clothes, Shoes and More! Have others done it? Look at testimonials! What’s interesting is these benefits are not only extended to the child, but his or her family and community. A portion of the money will go to providing something beneficial to the entire community like garden training, disaster relief, or a new water well. They work with schools, temples, churches, and other programs in the area to expand their reach. Ultimately, a ripple effect takes place. Through your child, you are impacting the family and community at the same time. Once you pick the right organization, it’s very simple. You can set up a direct deposit account and have the amount withdrawn from your account automatically. That’s what I’ve set up. It’s easy, simple, and convenient. An user account is also set up online where you can manage your payment options, view your sponsored child’s profile and progress reports, view contribution history, and much more at any given time. How Long To Do It? It’s an ongoing process. There is no deadline or cut off time. I am still sponsoring Bappa and hope to do so in the coming years as well. Currently, he is 13 years old. This definitely is a commitment, but it’s only $22 bucks from my wallet each month. Think about it. You probably spent $22 bucks just like that in one meal. It’s a reasonable investment and brings numerous benefits to the child and yourself. Go Ahead And Try It! Furthermore, I have his photo framed in my room and often my friends will notice and ask me who he is. They become really excited and want me to show his letters. In turn, I’m proud to say two of my friends have also gone on to sponsor children of their own through an organization. What is your biggest takeaway from this post? Please share with me in the comments!